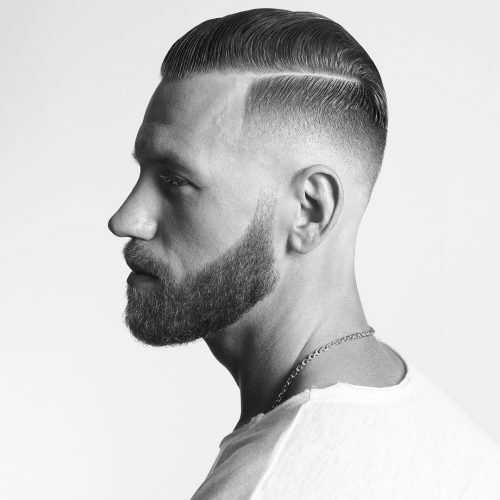 Men’s fade haircuts are fresh, fashionable and incredibly masculine all rolled into one. The versatility of this haircut is second to none. So kick back and get ready to see a variety of takes on the fade haircut right here. 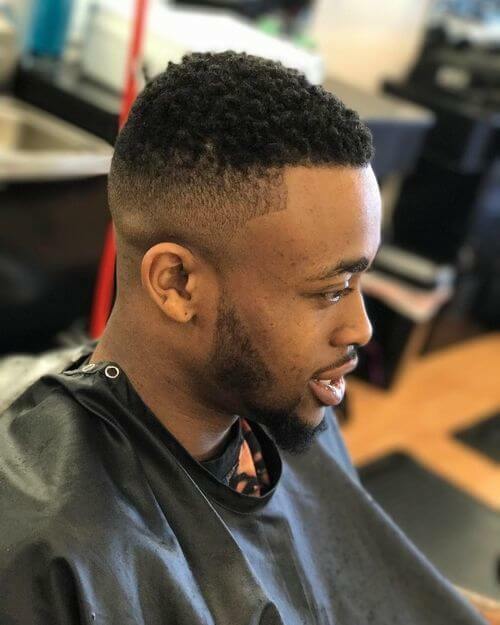 From textured to tapered, high, low, artsy to classic, we featured the most popular fade haircuts that can work for almost any man, including black men. Check’em out! 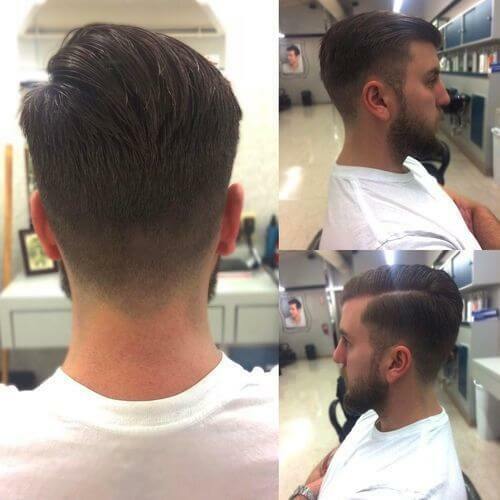 Buzz out the sides in a clean manner while making the top hair fuller and in shape. 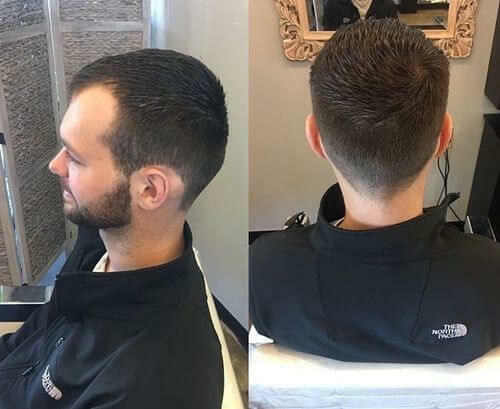 Stylist Ashley did an amazing cut to this dapper gentleman. Fresh-faced lads get to enjoy this skin fade. Good news is you still get lots of hair to style at the top. A popular black men fade that tapers around the ears. This is a very popular style for black men. 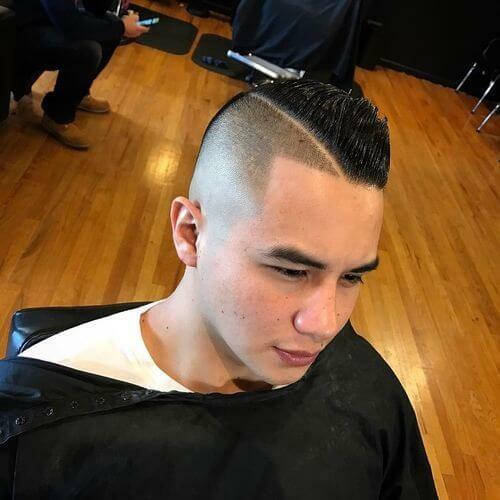 This is a straight up undercut with a high fade. The deep weight line with a quick skin fade really makes this look pop. This is a great cut for guys with medium to low facial hair. It uses the whole head as canvas to draw sharp clear lines, whether it’s on the cheeks or on the sides of the head. Somehow reminiscent of the Backstreet Boys, but taken down a notch, this cut promotes the spiky look. Pointing those spikes horizontally makes it approachable and cool-modern. This is a faded cut with full and rebellious top. It’s like drawing teenage spirit through hair. Still playful on top, with a touch of grown-up on the sides, coming down. You would have never believed a haircut can be soothing. Long, clear, uninterrupted lines, frontside and fading to the back. This cut is slick, it’s soothing and will go best with monochromatic outfits. 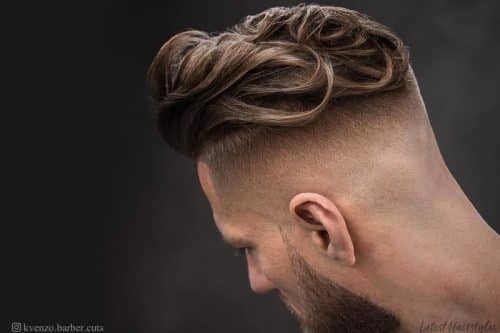 This is definitely one of the more popular fade haircuts for white men. Not for the faint of heart or bank tellers. This cut is bold, is noticeable and here to make a statement. It fades on both sides only to create more emphasis where it matters. This haircut is a clean, short fade combover. This haircut is pretty versatile for any hair type as long as you have the personality to carry it off. 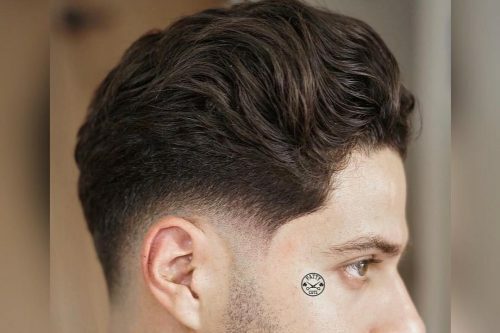 If the client has curly hair, I would recommend a high shine pomade for a clean, detailed style. If the client has straight hair, I would go more for a dry paste for a matte, messy style. 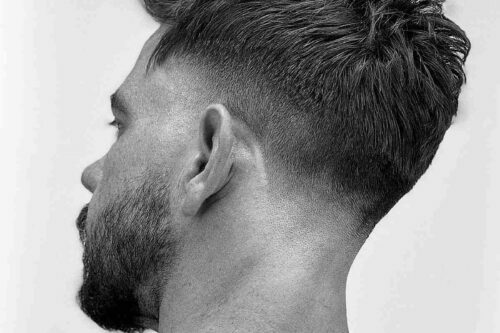 This look is a masculine text crop with a skin fade, and my favorite about this cut would be how the layers sit just about his fringe, creating a lot of texture and movement. 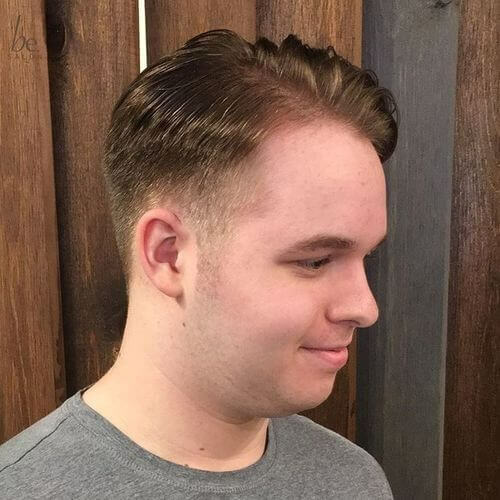 I also think it complements a short fringe towards his hairline that we textured using point cutting technique. This hair cut works so well with all types of hair. It’s easy to maintain for kids as well as adults, simple to style, and great to make a statement if you’re going on a night out with friends. Using a matte clay or even using powder for body and texture is great. It’s a style for any generation and any occasion. This is a textured gentleman’s cut. My favorite thing about this style is that it can fit most men. Also, in my opinion, this cut is timeless. I would recommend Baxter of California products. I like the Hard Water pomade or Hard Cream, depending on what the client prefers in regard to shine. This look fits the modern male who wants something that is easy to style. 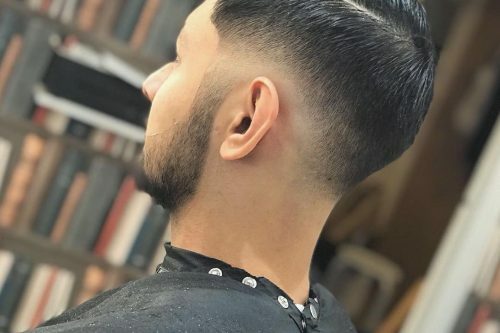 To keep the fade clean, it usually suits someone who comes for a cut once every three to four weeks. My best tip is to consider what you are confident in. Also, know that this look is low maintenance, but not no maintenance. 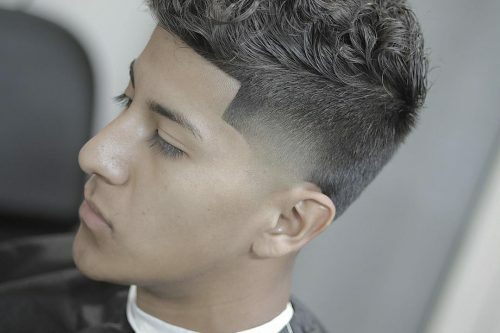 This is called a taper fade. It is also faded from the sideburns to just in the back as you see in this picture. I love the shaded look to this style and the way it blends. Its dark edges give you a really smooth and soft look that stands out, but also brings out the rest of the cut. The only product I use is Coco Butter Oil Sheen. You can use any oil sheen, but I prefer the Coco Butter because it works well and smells great. My clients get a nice fade and they smell good too. That’s enough to make anyone feel new and refreshed! To me this looks works best for anyone as long as they like it and have an interest for the style. I can and have made this work for all types of people and styles, from straight and course hair and blonde to dark. My best tip for someone getting this hairstyle is ask yourself if you’re ok with a faded look. 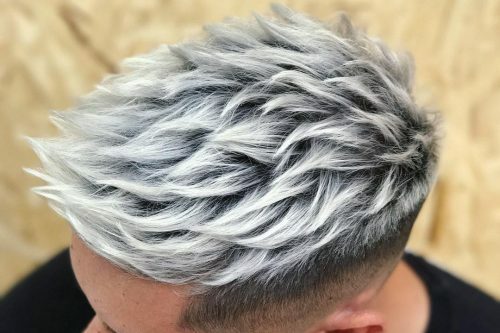 Look for pictures of a fade like this on hair that is the same color/type as yours. That always seems to help people decide if it’s for them or not. Most people who haven’t had it tried it out and loved it. Just give it a try! It can really stand out and make a difference in your hairstyle. Also, normally this looks starts with a zero but it can also be started with a one or a two. That’s called a light taper. The one you are seeing in this picture is called a bald taper. Tapers are the way to go. I love them! 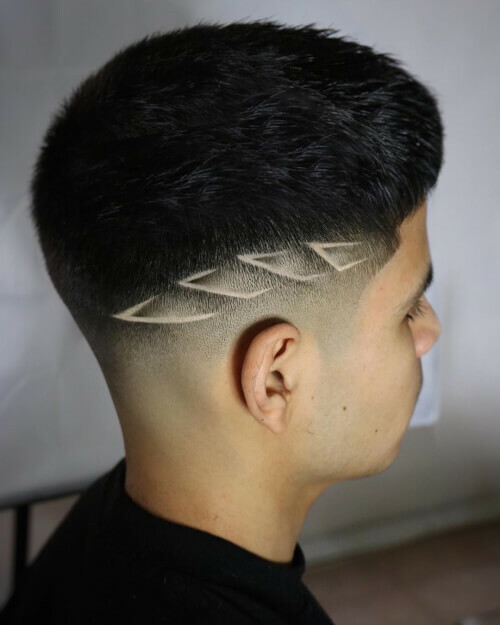 This is a mid-skin fade with a beautiful sharp pattern consisting of four consecutive arcs containing subtle fading within them. 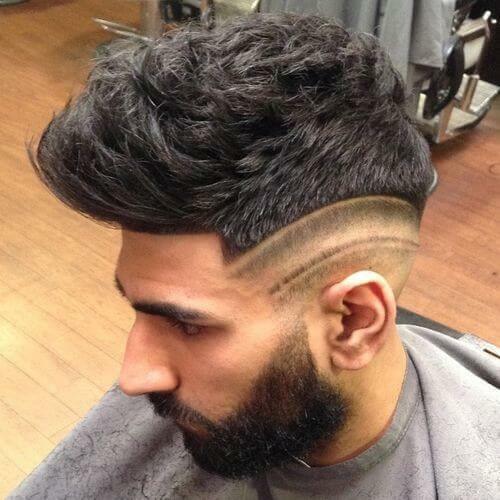 This compliments the flow of the fade by giving it both a sporty and futuristic look. 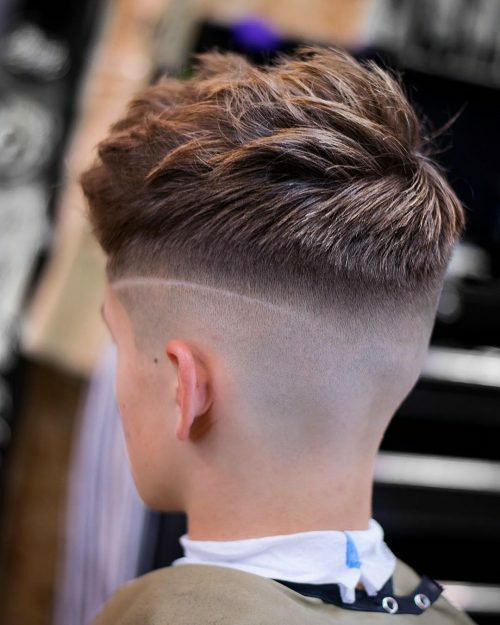 The top of the fade is heavily textured to resemble a popular European hairstyle known as a crop, making it a really unique haircut! 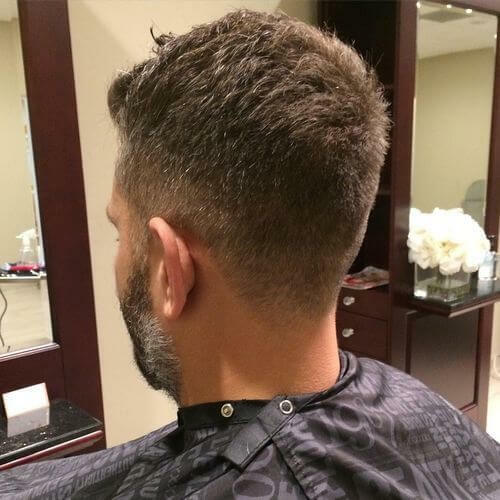 This type of haircut requires little to no maintenance as with most haircuts with lots of texture. Before applying any product, I make sure to blow dry the hair thoroughly while running my hands through the client’s hair instead of using a brush. After the hair is dry, I set the blow dryer on cool to help seal the cuticle and safely lock the hair in place. One of my favorite products to help bring out the wavy texture in a messy look is a matifying powder called Osis by Schwarzkopf. This particular product makes the hair a little “grippier” and helps you manipulate texture by simply pinching the hair in all directions. Another great product to help deliver texture that I love to use is Brut Styling Clay by Champagne Grooming. I use both of these products as they leave a more natural and effortless look. I would highly recommend this type of look for any athlete, whether a runner or a cage fighter. 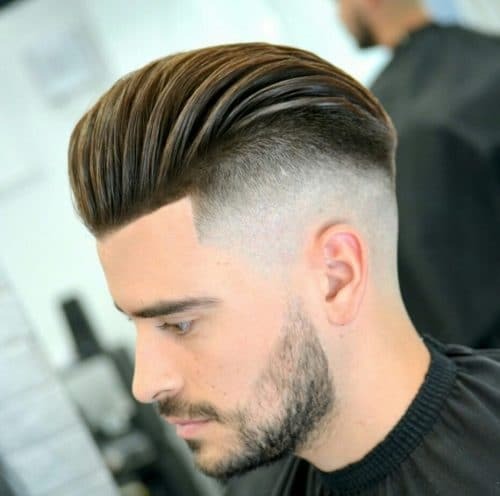 This hairstyle is really a haircut with an attitude of i’s own for those who are not afraid to express themselves and don’t mind the attention of others. 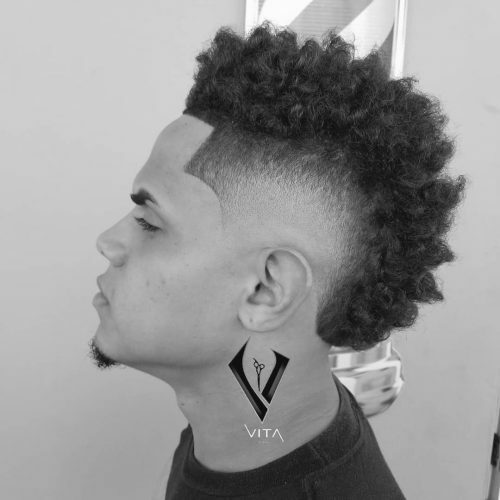 This type of haircut best compliments a person with a sharp/sculpted jawline to express the fierce theme of the haircut. 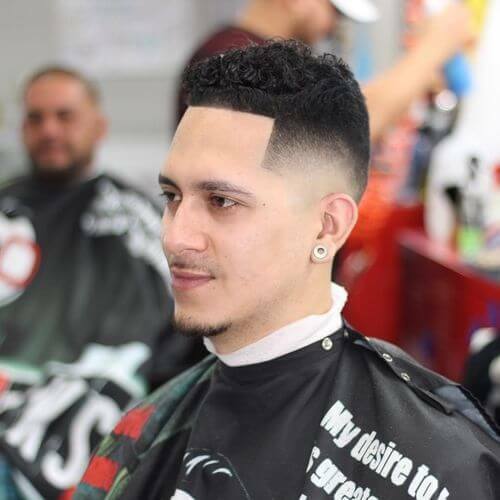 Before sitting at the barber shop and going under the blade for a similar design, it is important to consider the following. A hair design grows back fairly quick. With just a clipper/trimmer, you are looking at three to four days before you start to see hair build up. With a razor blade finish, the design should be able to last you a good week or so. These are one of the cons of getting a hair design. 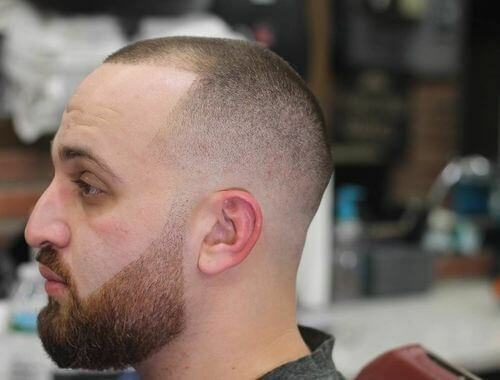 I would recommend a person visit an experienced barber who is familiar with symmetric designs and great with a straight razor to avoid getting something completely off. This is a signature classic look. My favorite thing about this cut is the shape, the way it makes the client look, and the creativity it shows. The products I personally use when styling this are the Ruezel pomades. They give good texture and finish with a matte look that still has just the right amount of shine. I recommend this look to any client looking for a retro but stylish look to their hair. This is a mid skin fade clipper cut. I used a number 2 on top, but since everyone’s hair is different, the size on top will vary based on the barber’s discretion and the client’s hair type. I like this look because it’s a very simple, classic, and clean cut look. The beard also stands out because the top length is so short. No need for products here. At the very most, maybe a beard oil might be used to add a smooth shine and softness to the beard. This can vary. 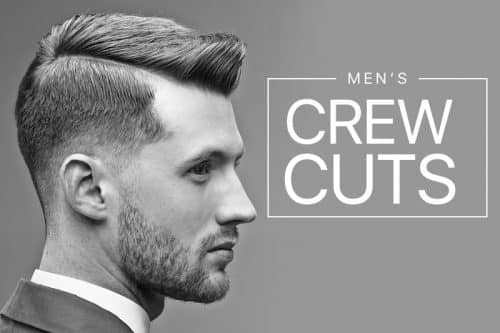 Someone who doesn’t want to fuss with their hair, maybe someone who wears head gear for work, is sweating during work, or someone who doesn’t have time to maintain and put product in their hair would be ideal candidates for this cut. A rounder head shape would work best with this look. 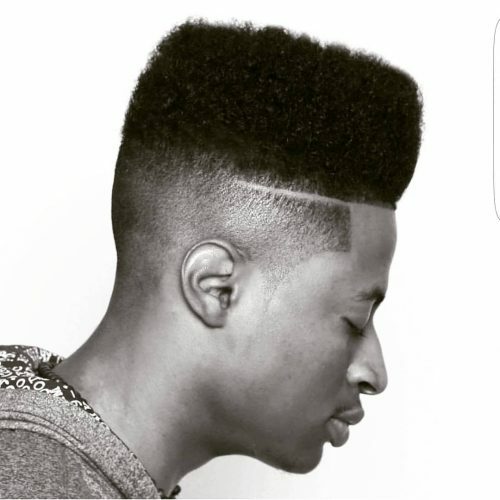 This is a low tapered fade haircut that gives the client that faded skin look without it fully being skin tight. I like giving texture to the cut by blending the sides to the transition to the length on top. I like to be able to just go in and either point cut or just texture the hair to give movement. This look can either be slicked down or worn with a messy texture for whatever mood you’re feeling that day. As for products, any type of molding or craft clay is perfect for this look. The clay gives you room to sculpt your hair throughout the day while still getting the hold you need. If needed, you can finish the look with a light sculpting hairspray for added security. Anyone can pull off this hairstyle from teens to college age or older. There’s no age specific rule to what I do for my clients or for anyone sitting in my chair. 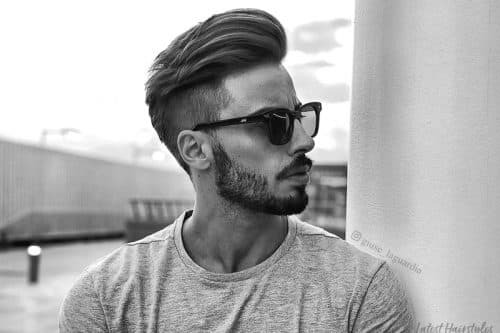 I feel this style can be worn with any face shape or hair type, even if you’re the “on the go no product” kind of guy. 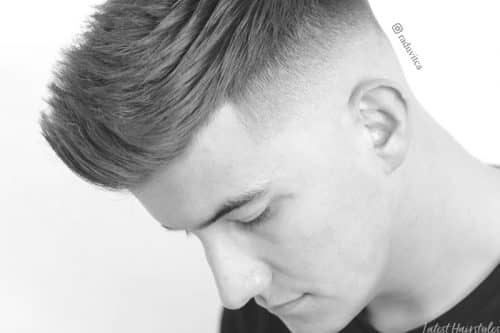 This look could be described as a tight, undercut fade. The top was cut with a straight razor to bring out texture and remove weight. I really like this look because of the contrast between the clean and tight sides and the soft top with lots of movement. R+Co’s Jackpot styling creme was put in damp hair and blow dried using a flat wrap technique for strong hold. R+Co’s Continental glossing wax was put in dry hair to add shine and definition. 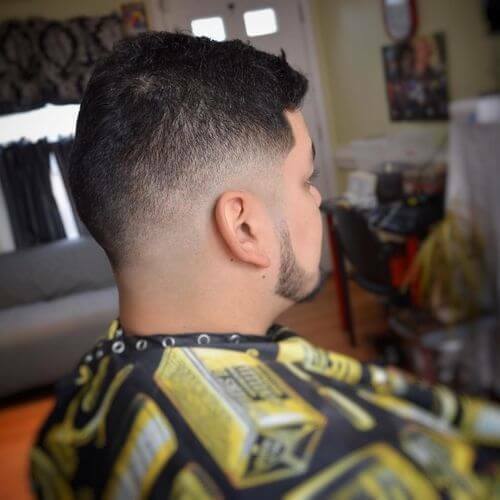 Fades work on most hair types to show natural head shape. Anyone interested in getting this look should be prepared to get the sides and back cleaned up monthly. This is a classic low/mid skin fade. 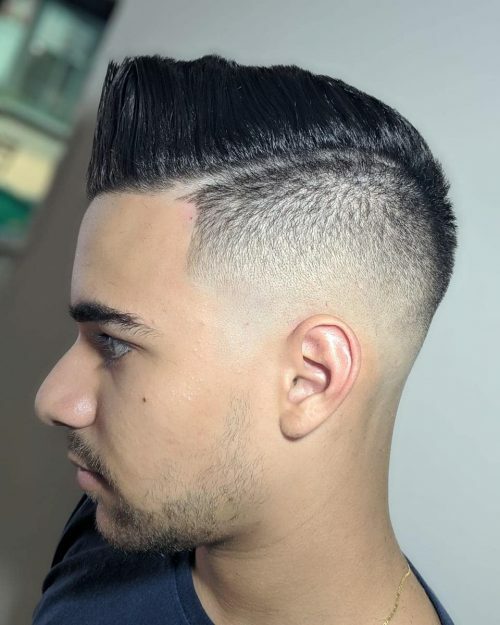 The fade isn’t too harsh, meaning this style works great for the “get up and go” guys and the more corporate ones, too! My favorite thing about this is just the overall end result. This gent came to me with a full head of thick, wavy locks. To see the transformation was refreshing and, to be honest, was a nice change from the never ending combovers I get! I swear by the boost powder for these types of cuts as it’s not only a superb “dry look” product, but also helps give the illusion of more thickness and volume on top, especially if your starting to thin a little bit. 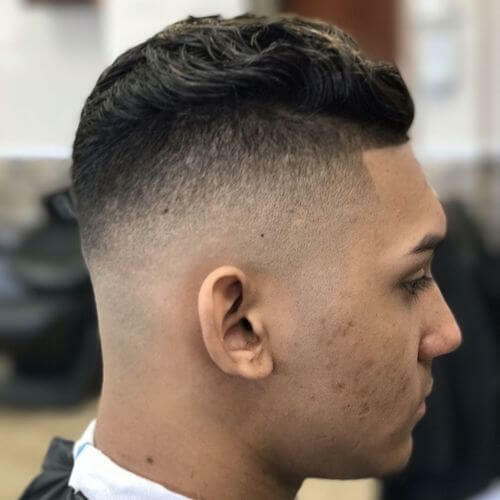 I’d recommend this style to someone who isn’t afraid to visit the barber at least once a week and wants to achieve that clean and fresh look. 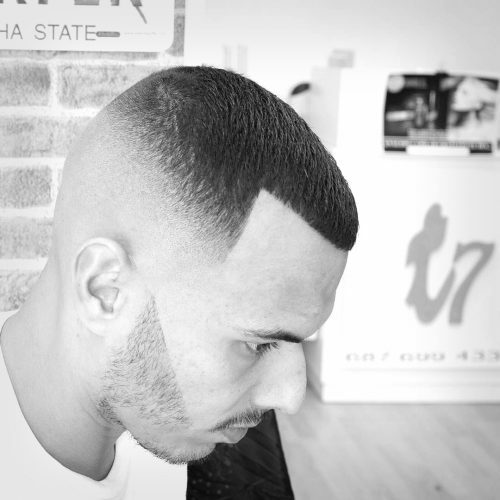 To keep a skin fade looking fresh, a regular visit to your barber is key. Anyone can have this style, but I do find I get the best results with thicker and darker hair. This look works wonders for a longer face shape, but will also work on the more common oval shape. 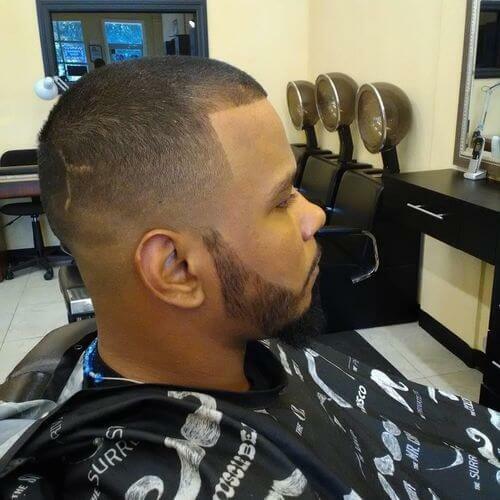 High fades on clients with a longer face shape are a big no no, so I tend to stay away from them if I can. All in all, this is a style for everyone, no matter the color or texture! It is the perfect cut for those holidays in the sun or if you’re just out and about on the weekend. 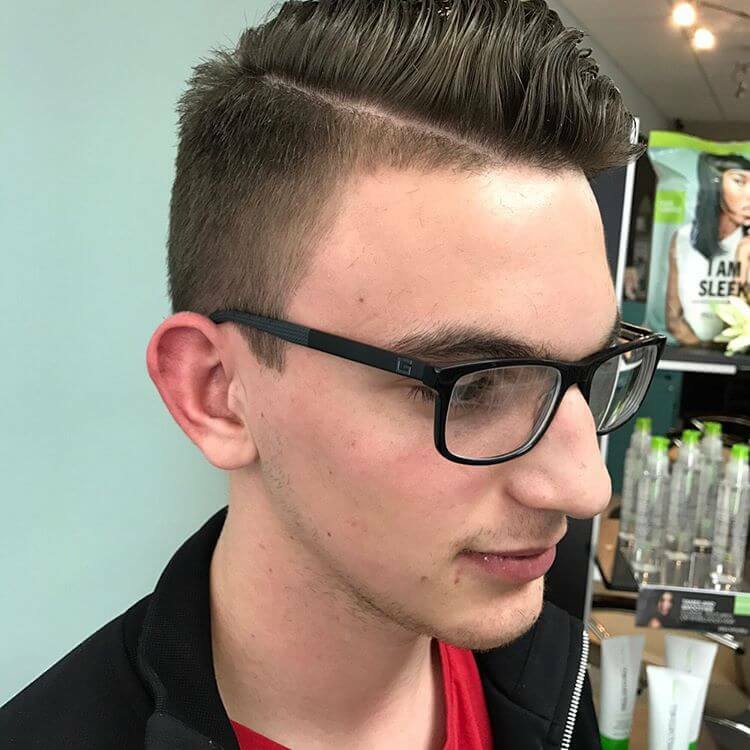 This is a high fade, natural medium length combover hairstyle. Use a sea salt spray product to create the texturized volume for loose and natural tousled waves, plus a texturizing clay and a bit of hairspray to finish. Thick or medium thick hair type on a round or slightly round face shape wear this look best. Any kind of lifestyle can pull off this cut and style. This is a low skin fade haircut. My favorite thing about this style is that it’s a nice clean look for a guy who doesn’t want too much maintenance. I would recommend a dry look product, nothing too heavy. 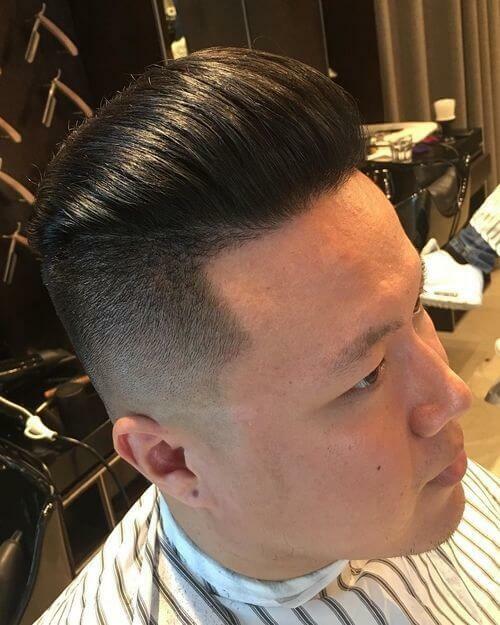 I would recommend this type of style to someone who wants a look that us east to maintain, but still stylish at the same time. 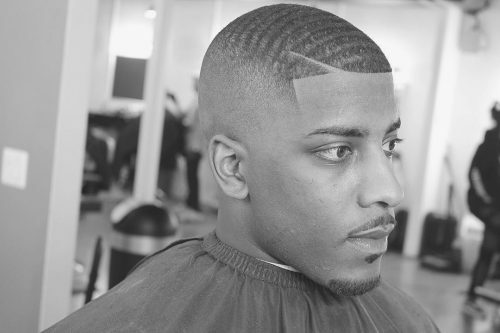 This cut always looks good when the client has thick hair because the fade is more pronounced. 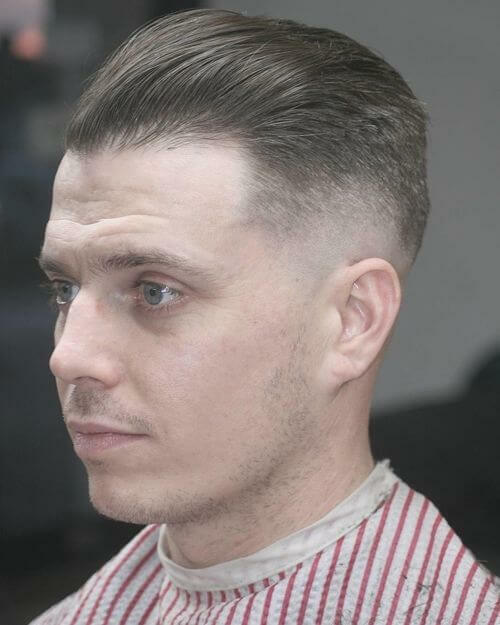 This is a fade style with length left on top. It’s clean and grows out gracefully. This depends on the hair texture. On this client, I used the Conditioning Gel from V76 because he has fine, straight hair. The gel helps to set the top in a backward motion, but once dry it can be shaken loose for a less structured look. Anyone! The interesting thing is depending on their head/face shape, the same cut will look quite different. 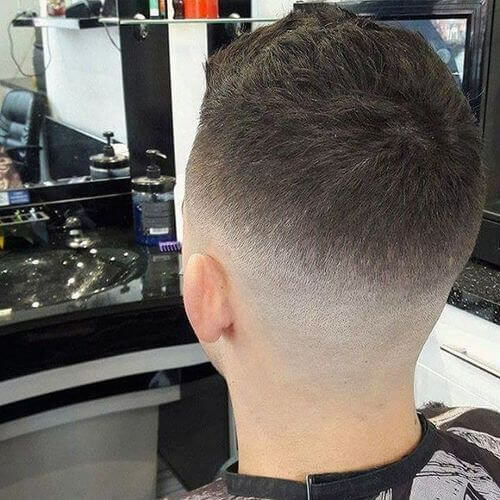 I would adjust how tight the fade is or how much the top gets layered to accommodate each individual. A fade also looks different depending on the hair’s natural texture. The top will look more dramatic on someone with more texture in their hair, so it’s always a customized look. 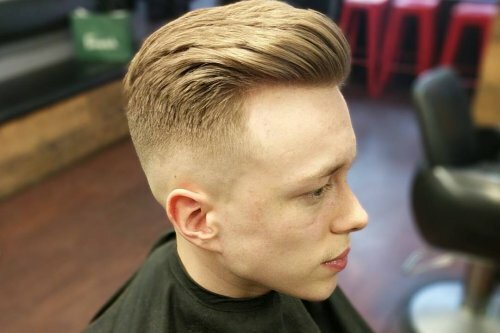 This is a modern fade, nice and clean with a twist of fun on the sides. My favorite thing about this haircut is his curved line on the sides. I used Reuzel Pomade strong hold for shine, along with Reuzel Fiber at the base for lift. 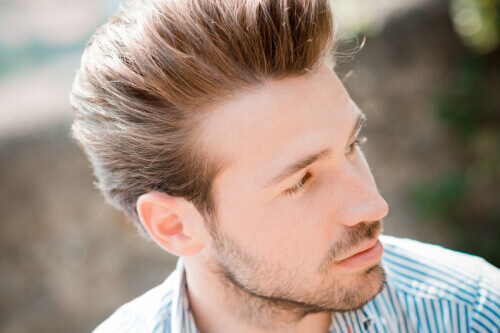 This style works will for men who likes to keep up with today’s hairstyle. The haircut works well for all hair types. As for the shape of the face, oval, oblong, triangle and diamond work best. I was actually inspired by my model’s hair texture because he has pretty straight hair and I wanted to challenge myself by bending the rules a little. I’ve tried different ways of fading his hair and creating a look that would be his own and even thought he was happy, I wasn’t quite satisfied. 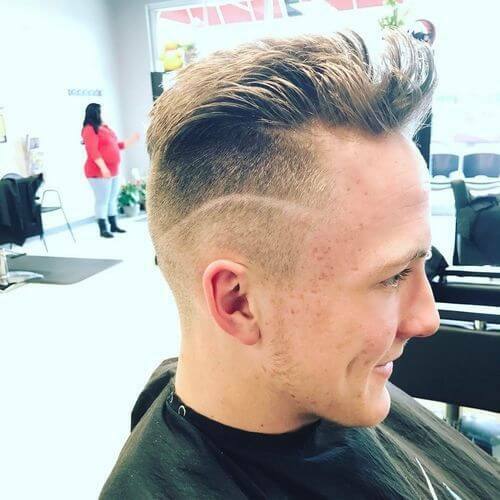 After eight months, I came up with this disconnected fade and added a line with curves instead of giving him a hard line. I would describe this hairstyle as an “Ivy League” side part with a low triple zero fade. My favorite thing about this haircut that it will last and look good for great amount of time. Even when the customer comes back for a trim, it will still look presentable. I like to use Modern Pirate Superior Hair pomade with a gloss finish. It is the perfect polish to finish such a neat and precise haircut. It will hold all day and simply washes out with water. I recommend this haircut for people who want to look sharp and fashionable. Medium to thick hair is preferable. Since this is a sharp and square cut, the look can he worn by most face shapes giving them a straight and sleek appearance. This is a very trendy and classy look. Even big celebrities like David Beckham and George Clooney have adopted it! I recommend styling the hair with a high-gloss or matte quality wax for a natural effect like Js Loane or Pacinos. The advantage of this haircut is that there is no age limit. This look works for a child, an adolescent, or an adult. It is best suited to stiff or wavy hair on a square or oval face. 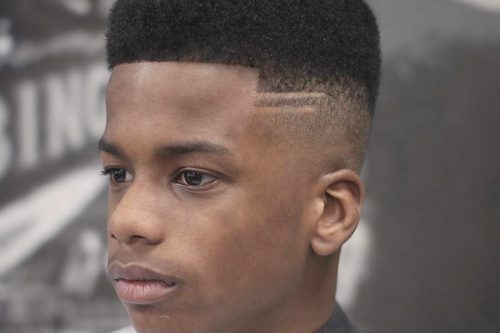 This is a low or mid skin fade. It is also a great summer haircut. When it’s hot outside, men tend to like a shorter haircut. My favorite thing about this cut is how it goes from skin and gradually fades into so much hair on top. I like to call it “blurr”. It’s not an easy haircut to do, so it makes me feel great when it’s faded well and no lines are visible. I always use POMADE CREW. Once I cut his hair to his liking, I blow dried his hair to the style he prefers. Once fully dry, I added about a finger of pomade wax to the hair and styled it. This haircut is perfect for anyone who wants to give themselves a very bold. aggressive and different yet stylish look. 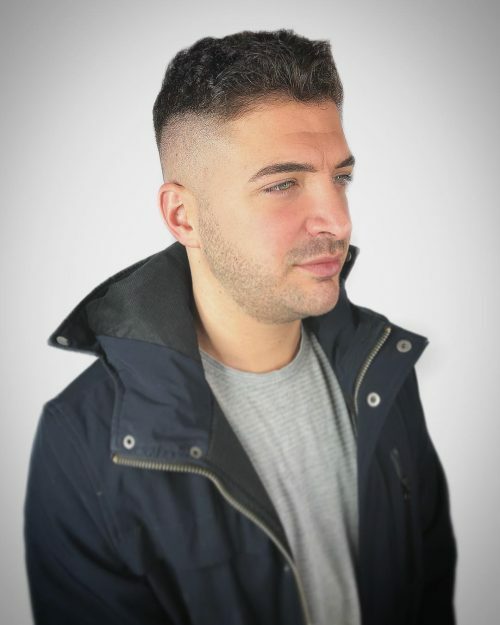 There is still plenty of hair left on top for styling and the sides are short but perfectly blended to give that stylish, clean and crisp look. 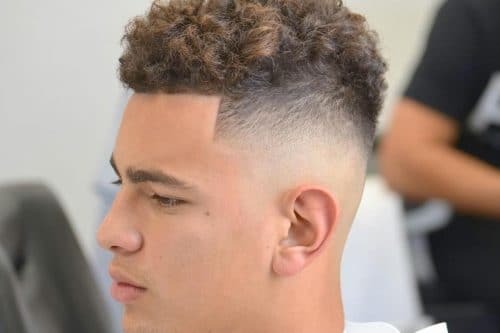 I highly recommend this type of haircut to someone who has had a regular haircut (like a 1,2,3 guard cut on the sides) and wants to try something different, but still look presentable and professional. Leave hair on top sleek and thick while sides remain tapered for a contrasted look. I like to call this look the “Captain America.” It is inspired by the 1950s style seen in that movie. 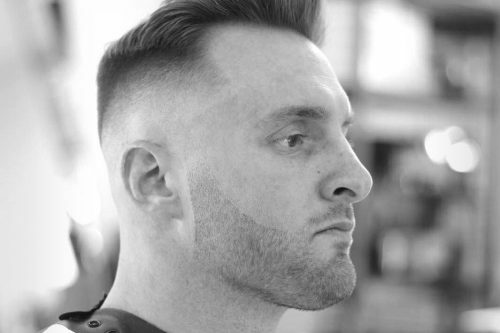 In technical terms, this cut is a skin fade with a carved part. 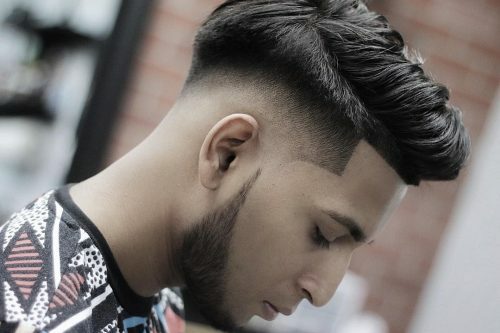 My favorite thing about this cut is how the carved part makes it an effortless yet dapper look. This is not an easy question to answer since it changes for every hair type. The product I have found that works well with most hair types is Over Achiever by Total Results (Matrix). Really any pomade or clay styling paste works, but depending on how thick your hair is, it will change how strong of a hold you will need. To finish the look, I’ll sometimes add a very light hairspray to help with flyaways. Really since this look is so effortless and classy, it’s a good look for just about anyone. For example, the client pictured here works in a warehouse for the majority of the week, often wearing a hat during that time. But for him, this look is perfect since he can clean up and look put together for the weekends. He will look like he spent hours on his hair when really it takes no time at all! That means this cut is also great for just about any lifestyle. I’d say the biggest factor that impacts this look is really the hair type. 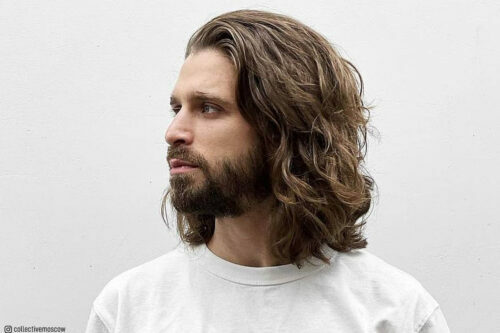 My husband has fine hair and it looks great on him as well, but it will actually be easier for him to style (the same goes for medium textured hair). 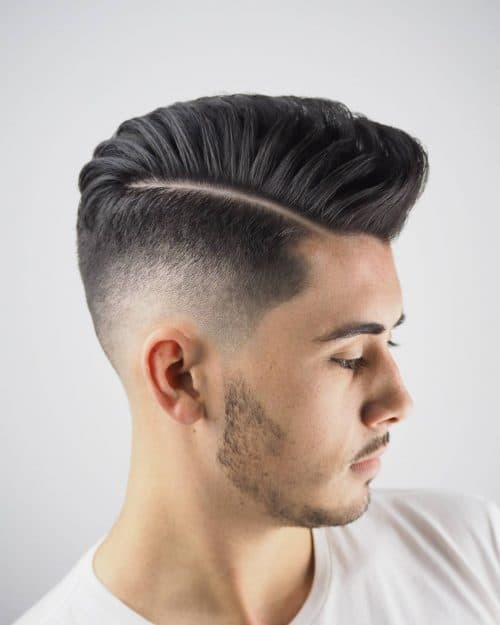 Those with coarse hair can still wear this cut of course, but will likely have to get a pomade with a pretty strong hold and may find it slightly more difficult to style. 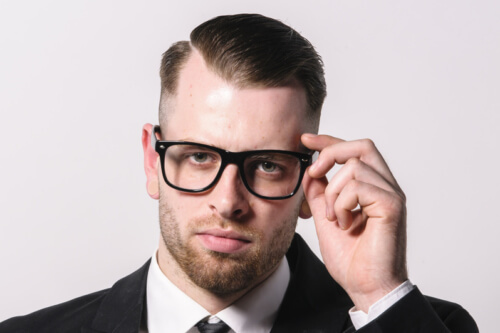 This haircut is called a skin low fade without a drop and scissors on top, which means about an inch off cut into a mohawk on top. What I really like about this haircut is the skin fade. The like how the low fade goes from light to dark from bottom to top and it blends perfect on top leaving a perfect blend. I recommend this look for younger kids, young adults and teenagers. This cut works best on mostly thick hair, wavy hair and straight hair. Any face shape can wear this look. I would also recommend this type of haircut to any type of athlete. My favorite thing about this faded haircut is that it takes zero effort to style in the morning. The length on top isn’t too long or too short to always need product! 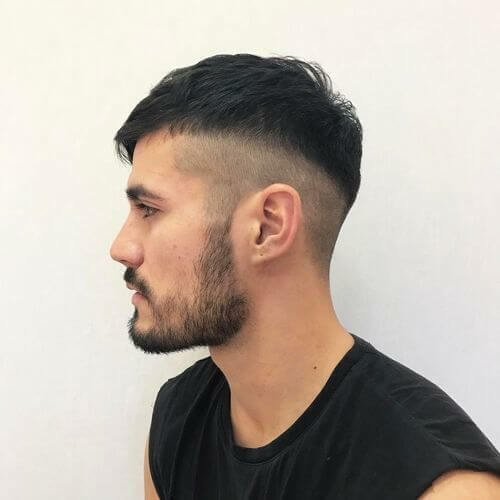 To recreate this look, I recommend using trimmers for the sides and back to create the fade, and a water bottle and shears for the top length. 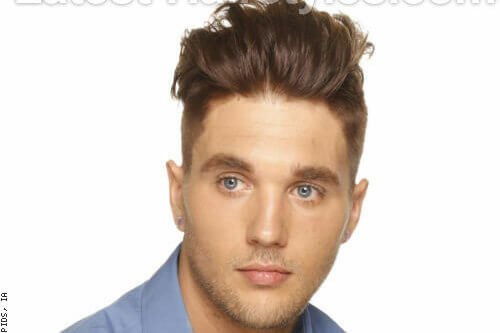 I would recommend this look to the guy in his 20s that wants a modern and fashionable look, but doesn’t want to spend too much time on his hair. I would describe the look as a textured quiff with a skin fade that is personalized with symmetrical detail. I like the fact that gives interior texture with sharp and strict exterior lines. 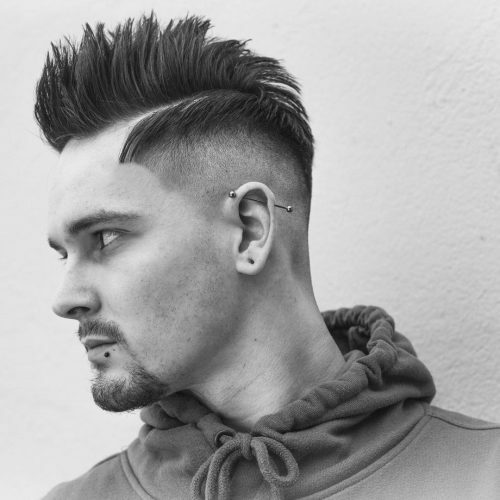 To recreate this look, I would use a salt spray like Hairbond Texturiser Spray to add texture to the look as you blow dry, Then I would use a matte clay like Hairbond Distorter for a real natural finish to the hair that looks effortless. To finish the style, I would use a strong hold matte finishing spray to keep the style in place all day. I used Fudge Membrane Gas on this client. This style won’t suit every client as this probably wouldn’t be suitable for an office setting. However, this would definitely be a good look for those clients that are daring and want something that little bit different to help them stand out from the crowd. I prefer darker colored hair to create this style because it really gives definition to the cut. Avoid oblong face shapes with this style as it will narrow and elongate the face. 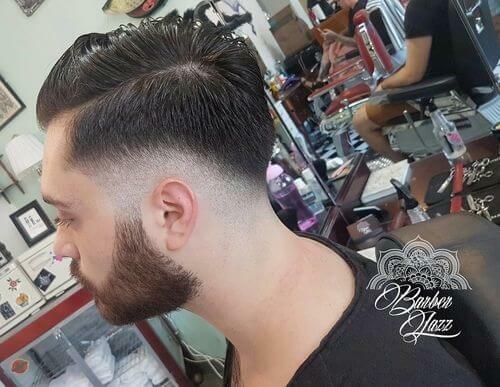 This cut and style on a more square face shape gives a real masculine look. I would describe this look as a slicked back high fade haircut or almost a modern, slicked back quiff. 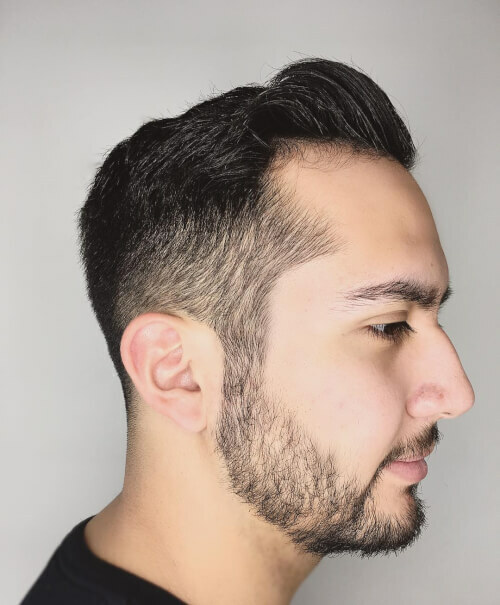 My favorite part of this hairstyle is that it is very easy to achieve just with a little pomade or hair wax. The best way to achieve this look is with a hair dryer and hair wax or pomade. Here, I used Red One Hair Gel Wax. I recommend this look to a person with slim face and thick, straight hair. 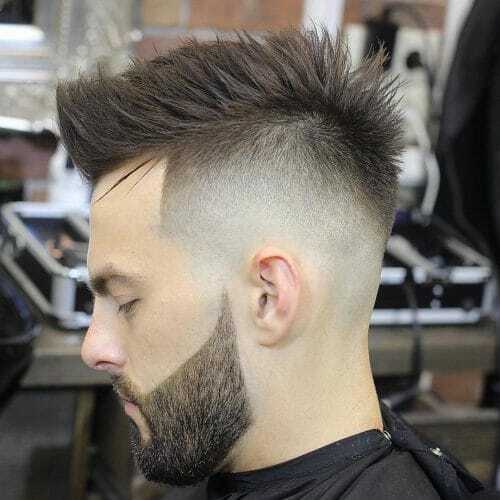 This cut and style will also look great if that person has a beard. If you use the hair dryer, the recommended hair type can vary, but it is definitely easier to style if the client has straight medium bodied hair. 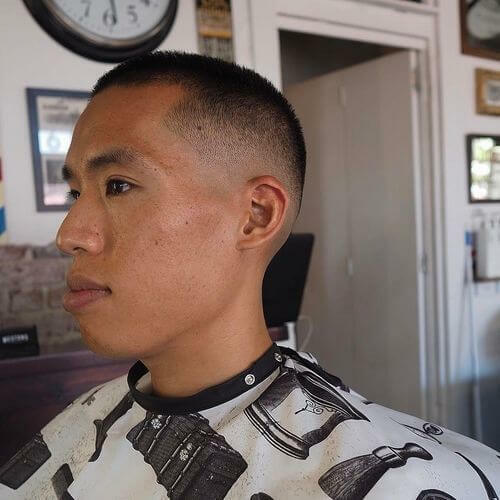 A clean, professional cut that is funky-fresh as well. 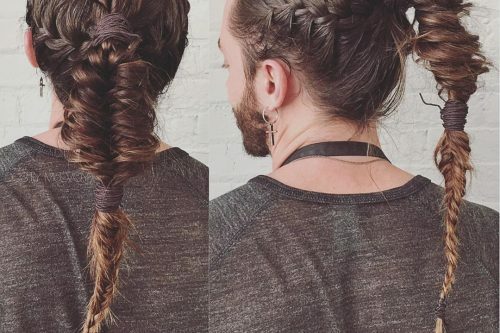 Stylist Nick is truly skilled! I love this style because it’s been around since the 80s and is a classic haircut that will never get old! If you have a fade, you can pull it with any clothes or personality. It all depends on the hair type. If it’s for guys with curly hair, I would recommend gel if they like more of a European style. For dry straight hair, I would recommend a matte or shiny wax matte, depending on the finish the client wants. 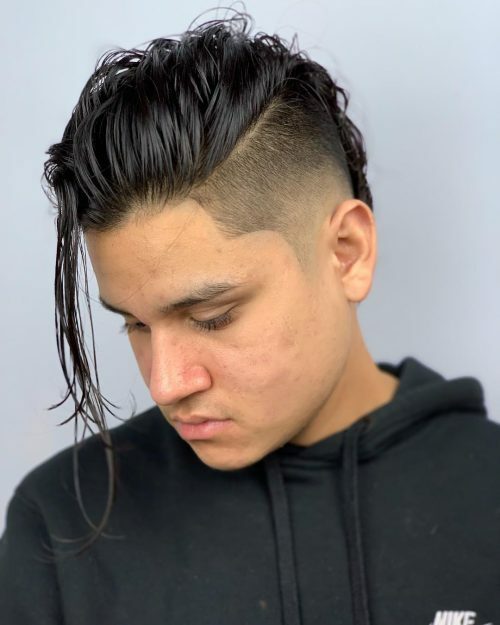 In my personal opinion, this hairstyle can be worn by anyone as long as they know how to style the top to go with their clothing style and personality. I call this the “military civilian look” because it’s short enough to look like a military cut, but has the civilian vibe with the addition of a beard. I would recommend this look for anyone who loves a business/casual lifestyle and wants to look good. This is a bold fade with a combover. What I like about it is that it’s very clean cut and keeps your fresh for a long time. With this look, you could go at least three weeks before you need another cut. I recommend this look for clients with dark hair. How would you describe this look and what is your fav thing about it? 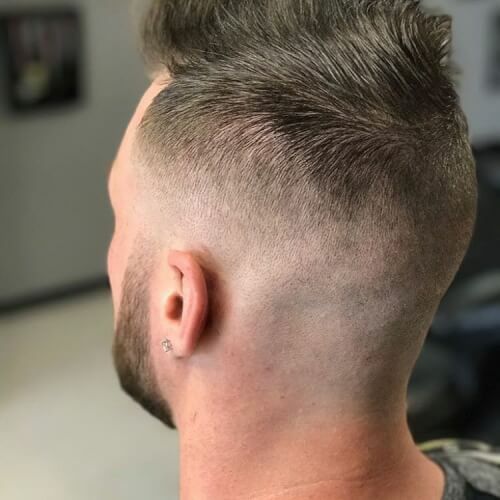 This cut is a high bald fade haircut with the fade starting at the parietal ridge and fading to the desired length on top. My customers would describe it as the “money cut”. This is my favorite cut to perform on my customers because they always walk out feeling like a million bucks. What products would you recommend to recreate this look? For someone with curly hair, you can use a curl sponge to maintain the top. For straight hair or any other hair type, you can use a pomade or nothing at all. This is a very versatile cut that can be cut on any hair type. I’s best for the “get up and go” lifestyle and it requires little to no maintenance. This is a low fade style. My favorite thing about it is recreating it and being able to make it look clean and fresh. I also suggests complementing a low fade with a well groomed beard. This creates a contrast in textures between your fade and your facial hair. 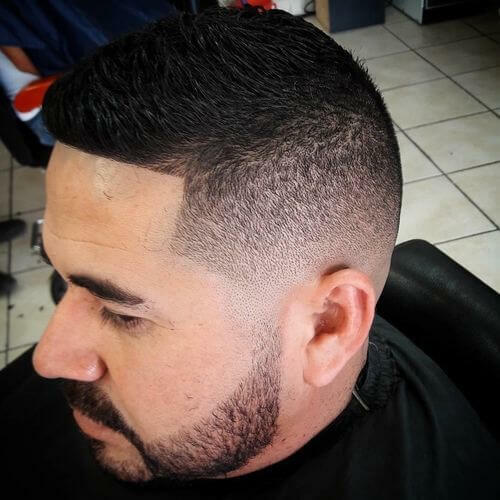 I recommend Suavecito Pomade because it provides moderate hold and matte finish. The low fade starts extremely low with skin at the very bottom, then blends up from that point, following the natural curvature of the head. It’s a good option for a more oblong, diamond or triangular head shape. 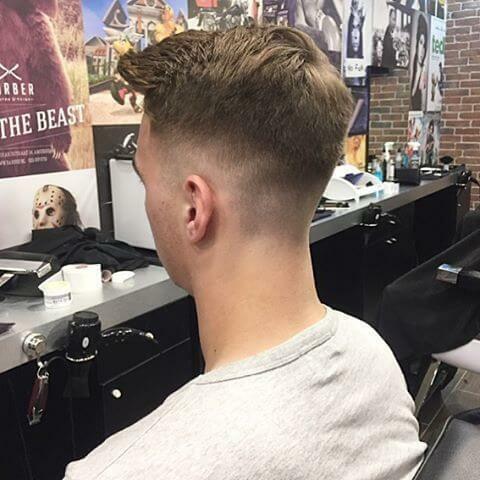 This is a modern fade haircut. It is truly an iconic look. I recommend using the Paul Mitchell Mitch line for men. 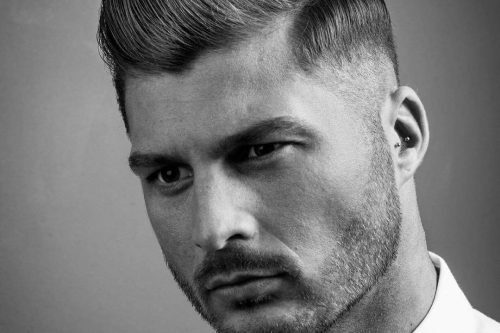 This look was achieved with the Reformer pomade which is a matte pomade with medium to strong hold. Medium to coarse hair is ideal, but any face shape would be appropriate for this style. It is a youthful look for any age.